Oh…. so its not a brain disease after all!!!! ‘Addiction is not a disease of the Brain’!? But What about Psychological Addiction? 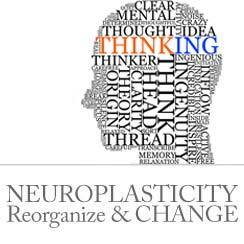 Since Neuroplasticity (the ability for brain tissue to change, adapt and grow) is demonstrated by the brain’s amazing ability to reorganize itself to adapt to an individual’s most repetitious and dedicated thought patterns and motivations, one could say that “psychological addiction” or “mental addiction” – or cravings that occur after completing detoxification, are generated by the individual’s consistent motivation and dedication to alcohol and drugs from past usage experience. There is a case to be made for this logic. A variety of habitual behaviors are attendant with substance use and the brain is the recording device for all of these behaviors. For example, a habitual drinker may stop at a roadside bar every day after work. These thoughts are well entrenched in the brain tissue because they have been made, over and over again. It is not happenstance that the brain will have a significant amount of its conscious real estate devoted to thoughts related to drinking and/or drug using after the substance user has quit or moderated. This makes the thought to stop at the bar a very easy, almost natural, thought to have, as the neuronal connections are quite well established. However, this does not mean that the habitual thought is unalterable. People can train their minds to change the neuron path. They already do this every day they are alive. It is called the learning process. We will get into depth on the methods of replacement that you will use to change old habitual destructive thoughts and actions throughout this text. As it is obvious that thought-driven changes in the brain happen, much can be said for the power of these thoughts in regard to substance use habits. But the substance use treatment industry claims that a form of Neuroplasticity occurs in the brain as a result of substance use, thereby rendering the physical brain altered forever. These scientists attempt to prove that once a person has used drugs for a certain period of time, the brain is rewired and cannot change back to the state that existed prior to alcohol and/or drug use. Once again, these claims are simply untrue. Detoxification amply handles the substance use problem. With the alcohol and drugs gone, there is once again a clean brain from which to work. Whatever neuronal paths that exist that support the alcohol and drug use lifestyle (such as going to a crack house, obsessing on the good feelings brought on by the substances, etc.) can now be changed through methods we will discuss in detail later. New neuroplastic changes can begin to occur immediately if that is what you choose. On the one hand there is the substance use treatment industry cherry picking Neuroplasticity as a means to explain permanent brain addiction and on the other, the scientific definition of Neuroplasticity is that nothing is ever “permanent” in the brain. IS THERE A PERMANENT BRAIN ADDICTION? The claim of “permanent brain addiction” in heavy substance users is simply false. Numerous studies conclusively report that substance users most frequently quit using their own neuroplastic power – they think their way to new goals and values that do not include substance use. This is a fact that the substance use treatment industry tries to ignore to validate its aging theory of the weakened human mind. It is important for you to understand that your mind and brain can change all the thought patterns that are haunting you. To effect that change requires dedication and your best efforts to complete the lessons in this text. The brain’s being malleable explains many things. It explains why we are so adaptable as a species, how humans have overcome enormous environmental and circumstantial events and just as important, how and why humans can get “stuck” in counterproductive habits and feel as if they are victims of an inexplicable fate. Clearly then, Neuroplasticity cuts both ways; our physical brains can become a slave to positive thought or a slave to negative though; but we get to choose. A better way of looking at “addiction” is to define it in these terms: neurological changes that occur as a function of repetitive similar thoughts independent of the effects of the actual substances ingested. Hebb’s Law states: “Neurons that fire together, wire together,” making a larger, more efficient pipeline for repetitive thoughts. This plastic nature of the brain explains why people become used to making certain choices and why it becomes easier and easier to make those same choices as time goes on. The brain does not know the difference between a “bad” choice and a “good” choice in its decision making process. It only knows that if you are motivated, (which puts in place a greater amount of positive reinforcing hormones and other supportive chemicals) and if you make that same choice repetitively (like going to the bar after work every day,) your neurons will literally connect in such a way as to support that inner-brain choice and thought pattern. In most of our western culture, this repetitive pattern of choosing negative life options is called “addiction.” But, because this label is loaded with extensive cultural baggage, (e.g. “I cannot help myself! I’m addicted! I am not responsible for my actions,”) this program will not use the label “addiction” to explain why people become stuck in negative patterns. Rather, it discusses addiction with a label that is accurate: repetitive choices. Choice is changeable, unlike the common view that you are powerless and permanently altered. In the classic definition of addiction, there is a loss of control, a physical craving beyond your ability to say no. Of course, this cannot be, as millions of substance users have, and will continue to stop using based on choice. The body quite naturally detoxifies itself and you are left with an infinite number of choices. Neuroplasticity proves that “loss of control” is false – no one loses control without deciding to do so first. In other words, “losing control” is paradoxical: you must make a series of choices to perceive and believe in a loss of control, meaning of course, that the decision to lose control is a controlled, which is self-created choice! This begs the obvious question; if all loss of control is actually a series of self-controlled repetitive choices, then “addiction” is a hoax perpetrated by western culture. Being that addiction is actually a choice driven pattern of decisions, the choices that bring so much misery can be changed by each individual. The ability to control your belief system and choices is scientifically proven and enormously life altering. Therefore, your poor choices (your “addiction”) can be reversed only through your thought and action. The first requirement is to stop reinforcing the erroneous idea that you are addicted, which will in turn break that self-created neuronal lock. Thus, your brain will change! The more one thinks about a certain topic (“I am going to the bar to get drunk,”) the more the neuron structure of the brain changes and adapts to accommodate that thought. Neurons will then group together to build a bigger, more efficient pipe for that particular thought. Sections of brain not currently being used will then begin to adapt to accommodate a greater resource to that thought. This is known as the “use it, or lose it” phenomenon first coined in the mid-sixties by Dr. Michael Merzenich. That is exactly what we are saying to them – “They are not addicted.” Addicted in this statement implies powerlessness. Instead, this example illustrates a series of habitual choices which are tied to great emotional desire and motivation all geared towards going to the crack house. Desire and motivation are two qualities of thought that force neuronal adaptation. If an individual sees value in a certain choice, based on their life experience (“I love to get high,”) or excitement and desire over a new course of action, and are motivated to make that choice repetitively, the brain, being a slave to those thoughts, adjusts itself. Appropriately, the brain allots more of its real estate and nervous system wiring to support a more efficient way of carrying out the behaviors associated with that thought. This makes each subsequent similar thought that much easier to process. In other words, in much of our time on earth our thoughts affect the brain, not the other way around as science has attempted and failed to prove for centuries. There has been a consistent backward logic within the substance use field which maintains that drugs and alcohol have a permanent altering effect on the brain, consequently making people physically “addicted.” However, this has never been proven despite the millions of dollars and many years that have been invested in trying to prove it. Whatever changes drugs and alcohol cause in the brain, within a short period of abstinence or moderation (one to thirty days) those brain tissue and brain process changes reverse themselves back to the status prior to the person using. With that said, there are hundreds of studies that claim permanent brain alterations as a result of alcohol and/or drug use, but none have been proven by scientific method. Without the necessary proof, these studies are nothing more than theories. The theory about the chemical THIQ is just one example that is used to support the definition of “alcoholism” as a disease. But, THIQ has been controversial in its inconclusive, inconsistent findings. In contrast, neuronal remapping of the brain are natural adjustments and provable changes. Neuroplasticity is proven. It is the natural habituation of your will, both positive and negative. Alcohol is a commonly used substance that is widely known to cause major damage to the brain, pancreas, liver, kidneys, digestive system and heart of those who use it heavily over a length of time. However, this damage is a slow poisoning that, with early enough cessation the body can regenerate and mend itself. Some people drink heavily for so long that they can have permanent brain tissue damage, but this brain damage can not be considered addiction or a neuroplastic change, but rather a destruction of tissue resulting from a slow alcohol induced poisoning. According to those researchers who are addiction proponents, addiction is the inevitable result of the above described poisoning. Looking at the result, destruction of bodily tissues, it becomes easy to say that “addiction” is the cause. Yet, millions of people labeled as chronic addicts simply stop or moderate their usage and move on with their lives. It’s as if the “addiction” that is so easily identified, simply vanishes. This fact has always been the 500 lb gorilla in the research, the monkey-wrench in the theory of “alcoholism.” Millions of habitual drinkers (and drug users) all over the world have simply stopped with no treatment, whatsoever. These folks have literally thought and acted their way back to health. The addiction proponents will conveniently side step the huge gorilla claiming, “Well, those people weren’t real alcoholics.” Ok, so let’s just throw out any portion of the sample that does not support our theory! Wait a minute; that’s not science at all. That’s twisting the facts or, more directly stated, that’s being dishonest. WHAT IS NEUROPLASTICITY AND WHAT DOES ADDICTION HAVE TO DO WITH IT? Neuroplasticity, however, is the science of the brain’s amazing ability to adapt based on thought and accounts for 100% of substance users. Neuroplasticity is proven and shines as a beacon onto the reality of how to have full control of your life, regardless of circumstances including substance use and the physical effects of temporary poisoning by those substances. There are reasons for substance use research to have such a dedication and bias towards attempting to prove physiological causes for people’s substance use. If you can prove that mankind is a slave to brain chemistry rather than having free choice based thought then a pill, a therapist, a treatment program, a group therapy session may be the answer. An entire multi-billion dollar drug and alcohol rehabilitation industry is dedicated to this erroneous disease of addiction theory. Even the newer holistic alternative styled programs being developed still hang on desperately to a dependency based paradigm. Pharmaceutical companies profit from creating medications that alter the brain’s functions. These companies spend an enormous amount of financial resources attempting to prove that people are victims of their brain’s chemical dysfunction. Neuroplasticity refutes all of these theories. Once again, neuroplasticity puts the cart after the horse, where it belongs. The mind comes before the brain. The mind has full control over the brain. With just one exception, that being cases of the most severe traumatic brain injuries where the damage is so extensive that the mind and brain processes are unintelligible. At first glance, those with severe mental illness seem to fall into a category of loss of mind control. However, even those who are mentally ill, still create their reality with their minds, regardless of the seeming strangeness of their manifestations. For thousands of years people have pondered the question “what is thought?” This discussion we will leave to the philosophers and metaphysicians, as these concepts are beyond the scope of this program. For the purposes of this program, we will simply accept that which we all know for a fact to be absolute and true: we all think. For example, we can’t engage in any physical activity without first thinking about it. Contemplate the opposite by trying to do something without thinking about it first. Stop reading and try it now…. You will quickly learn that it can’t be done. From reading this page, to driving your car, to going to work in the morning, all of these activities require your thought processes to make the necessary physical actions occur. This reality, also called the human condition, is filled with challenges, traumas, poor decisions, horrendous consequences, glorious loves, and joy filled moments. But underlying all of life is the human’s amazing ability to think and act proactively and cognitively. This is one of the astounding gifts you were given by nature at your birth. If you are, indeed, a culmination of your choices, which is the case, then you have ultimate power over your life. Your life is nothing more than a series of choices that are acted out on some cognitive level. That means you have control! https://www.thefoundationclinic.co.za/wp-content/uploads/2017/07/foundation-logo-300x84.jpg 0 0 editor https://www.thefoundationclinic.co.za/wp-content/uploads/2017/07/foundation-logo-300x84.jpg editor2014-11-12 20:00:302018-11-04 08:45:26Oh.... so its not a brain disease after all!!!! The smart Money should be moving to treatment One Way Ticket to Relapse City! ?